An indispensable book for all professionals and students interested in the field of geoarchaeology, including those with limited earth-science experience, this new edition of Geoarchaeology builds on the success and innovation of the first edition and includes updates, new concepts and examples, an enhanced bibliography, and many new illustrations. 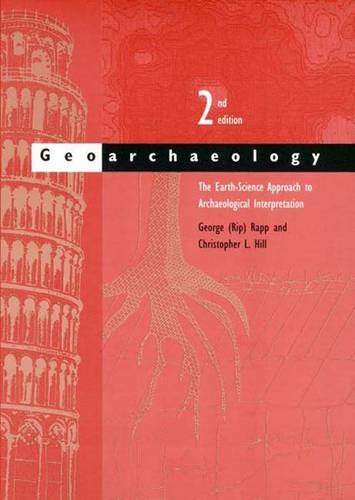 The second edition begins by considering the history and theory of geoarchaeology. Rapp and Hill then move to discussions of soils and environmental interpretations; initial context and site formation; methods of discovery and spatial analyses; estimating time; paleoenvironments, landscapes, and the human past; identifying, analyzing, and sourcing raw materials; and construction, destruction, and conservation of sites and materials.